Discover the important headlines in Mexico from February 2018. Picture by Victor Camacho. La Jornada. On the morning of February 8, 2018 in Xalapa, Veracruz, 13 police officers were taken into custody due to allegations of involvement in over 54 forced disappearances. These forced disappearances were instances of imprisonment by the government that predominantly occurred during the tenure of former Veracruz governor, Javier Duarte (La Jornada). 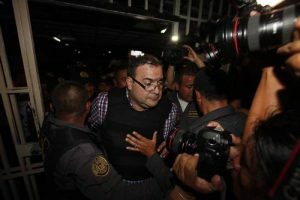 Duarte is currently detained and accused of being involved in organized crime, embezzlement and corruption. Previous to his arrest on April 16, 2017, he was hiding in Guatemala for almost six months (BBC). Moreover, there are reports of an elite police force in Veracruz, headed by former director of Veracruz State Police, Roberto González Meza, that illegally detained civilians suspected of being involved with “Los Zetas”(Proceso). Among the 13 police officers arrested was former Veracruz Public Security Secretariat (Secretaría de Seguridad Pública, SSP), Nava Holguín and Arturo Bermúdez Zurita. It has been reported that during Duarte’s six-year term there were up to 200 cases of forced disappearances in Veracruz (La Jornada). “Fugitive Mexican governor Javier Duarte arrested in Guatemala.” BBC News. April 16, 2017. Gómez, Eirinet, “Detienen a 13 policías de Veracruz vinculados con Javier Duarte.” La Jornada. February 8, 2018. López, Lourdes, “Implican a exfuncionarios de Veracruz en delitos desaparición forzada.” Excelsior. February 8, 2018. Pérez, Edgar, “Investigan a ex mando de seguridad de Javier Duarte por desaparición forzada de 15 personas.” El Universal. February 8, 2018. Zavaleta, Noé, “Policia élite de Javier Duarte: perseguía a Zetas, levantaba a civiles.” Proceso. February 10, 2018. Picture by Cua Rtoscuro. El Universal. On February 16, 2018, José Eduardo Zamora “El Cholo” was arrested for being linked to the Tláhuac Cartel in the municipality of San José de Iturbide in the state of Guanajuato (Milenio). Zamora was captured in a joint operation between the Investigative Police (Policía de Investigación, PDI) and local police department (Excelsior). He is the alleged successor of Felipe de Jesús Pérez Luna “El Ojos”, the previous leader of the Tláhuac Cartel, who died in November of 2017. Zamora was detained in 2013 and 2016, respectively for street-level drug dealing and destruction of property. In both cases, he was released on a judge’s order. Authorities say that Zamora held a significant role in the distribution of drugs in the southeast region of Mexico’s capital. 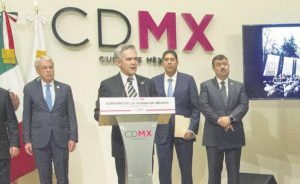 In addition, Zamora is allegedly linked to the homicide of an ex-commander of the Mexico City municipal police in Iztapalapa in February of 2016. As of August 2016, 74 people involved with the Tláhuac Cartel have been arrested (El Universal). “Detienen en Guanajuato a operador de cártel de Tláhuac.” Milenio, February 16, 2018. Roa, Wendy, “Fue capturado ‘El Cholo’, jefe de sicarios del Cártel de Tláhuac.” Excelsior. February 16, 2018. Suárez, Gerardo, “Aprehenden a ‘El Cholo’ ligado a Cártel de Tlahuac.” El Universal. February 17, 2018. Photo by U.S Law Enforcement. New York Times. 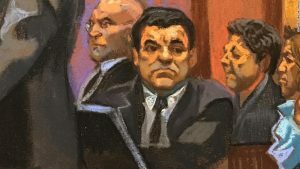 New York federal judge Brian M. Cogan has ordered that the jury taking part in Joaquin “El Chapo” Guzmán’s upcoming trial in September will be anonymous and partly sequestered, citing potential danger to the jurors. Guzmán is facing 17 charges, which include leading a criminal enterprise, producing and exporting wholesale amounts of narcotics across the U.S.-Mexico border, and ordering the targeted assassinations of people associated with rival organized crime groups (LA Times). Cogan cited Guzman’s history of violence as the main reason concealing the identities of the jurors. 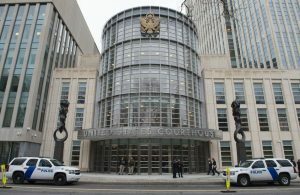 In addition, the selected jury will be under the protection of federal marshals throughout the duration of the trial, which is anticipated to last three to four months (NY Times). Guzmán’s lawyer, A. Eduardo Balarezo, countered that the judge’s order would give the jurors an unfairly perceive Guzman as a threat. Balarezo believes that keeping the jury anonymous will undermine the presumption of innocence, causing them to form a prejudiced opinion before listening to any evidence. “El Chapo” has a history of interference with the judicial processes in Mexico, prompting strict legal procedures following his extradition to the United States (NY Times). Agrawal, Nina, “Citing potential danger, judge orders anonymous jury in ‘El Chapo’ trial.” Los Angeles Times. February 6, 2018. Feuer, Alan, “El Chapo Jurors Will Be Anonymous During Trial.” The New York Times. February 6, 2018. 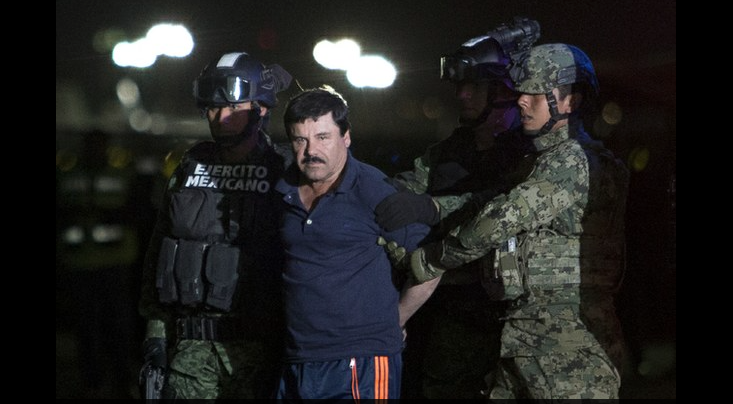 Seen here, El Chapo was extradited to the United States on January 19, 2017. Photo: Associated Press. 01/24/17 (written by kheinle) – One year after the arrest of Sinaloa Cartel kingpin Joaquín “El Chapo” Guzmán on January 8, 2016, the Mexican government extradited the notorious drug lord to the United States. Guzmán landed in Long Island, New York on Thursday, January 19, 2017 where he faces charges of organized crime, murder, and drug trafficking, as well as illegal use of firearms, money-laundering, and torture, among others. El Chapo was arraigned in the Eastern District Court in New York following his extradition. Photo: Univisión. Regardless of the motivation, Guzmán’s extradition is a significant milestone in the war on drugs and the overall U.S.-Mexico bilateral relationship. Dresser, Denise. “El Chapo(teadero).” Reforma. January 11, 2016. “The legal battle over El Chapo’s potential extradition.” Justice in Mexico. January 23, 2016. Levinson, Jonathan. “NAFTA benefits more than just trade, but it needs to be changed,” Dallas Morning News, January 10, 2017. Ahmed, Azam. “El Chapo, Mexcan Drug Kingpin, Is Extradited to U.S.” The New York Times. January 19, 2017. “Joaquín ‘El Chapo’ Guzmán es extraditado a Estados Unidos.” Univisión. January 19, 2017. Office of Public Affairs. “Joaquín ‘El Chapo’ Guzmán Loera Faces Charges in New York for Leading a Continuing Criminal Enterprise and other Drug-Related Charges.” U.S. Department of Justice. January 20, 2017. U.S. District Court, Eastern District of New York. “Memorandum of Law in Support of Pretrial Detention.” U.S. Department of Justice. January 20, 2017. Joaquín “El Chapo” Guzmán arrested on January 8, 2016 in Sinaloa. Photo: Alfredo Dominguez, La Jornada. 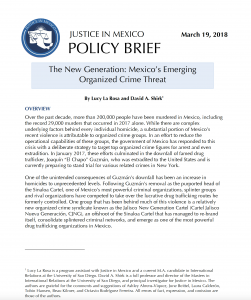 01/23/16 (written by kheinle) — Just two weeks after the January 8th arrest of the world’s most wanted drug lord, Joaquín “El Chapo” Guzmán, in the Mexican state of Sinaloa, much has been speculated about how his case will unfold. This is the third time El Chapo, head of the powerful Sinaloa Cartel, has been captured, having twice before broken out of prison in Mexico, once in 2001 and again in 2015. After the most recent arrest, El Chapo returned to the maximum-security prison, Altiplano, from where he escaped in 2015 via an underground tunnel below his cell that stretched nearly a mile long leading away from prison grounds. Although the Mexican Attorney General’s Office (Procuraduría General de la República, PGR) did begin the extradition process on January 9, a day after El Chapo’s arrest, that could take anywhere from six months to a year or more. 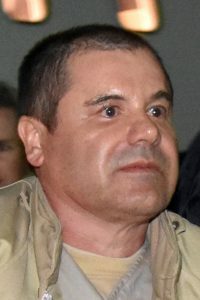 There is also the real possibility that extradition never happens if El Chapo’s legal team, led by Mexican Attorney Juan Pablo Badillo, succeeds in filing motions and injunctions (amparos) to suspend the requests for extradition. Doing so means El Chapo’s case must first be heard before a judge to determine his eligibility for extradition, a process that could be expedited if the Peña Nieto administration intervened, reports El País. However, opponents of Dresser’s calls for immediate extradition argue that doing so would reflect poorly on the Mexican government and its ability to function effectively. “It would be an error to extradite him now,” commented Eduardo Guerrero, a national security analyst and former intelligence analyst for President Felipe Calderón (2006-2012). “It would show that Mexico is very vulnerable.” Nevertheless, Guerrero said, the PGR needs to tread carefully in El Chapo’s case to ensure there are no legal missteps. “Joaquín ‘El Chapo’ Guzmán Loera Recaptured by Mexican Marines.” Justice in Mexico. January 8, 2016. Beauregard, Luis Pablo. “México no extraditará a ‘El Chapo’ Guzmán en el corto plazo.” El País. January 10, 2016. Bennett, Brian and Deborah Bonello. “Prosecutors in these seven U.S. courtrooms want ‘El Chapo.’” The Los Angeles Times. January 11, 2016. Translation by Izar-Shea, Ruby. “Mexico Drug War: Arrest of ‘El Chapo’ Guzmán Doesn’t End Government Complicity with Criminals.” Mexico Voices. January 11, 2016. “Mexico starts proceedings to extradite Guzman to US.” The Associated Press. January 11, 2016. Press Release: Comunicado 020/16. “Como parte del procedimiento de extradición de Joaquín Guzmán Loera, la Procuraduría General de la República informa.” Procuraduría General de la República. January 11, 2016. The Associated Press. “Mexico Begins Legal Process Against Guzman’s Security Chief.” ABC News. January 14, 2016.